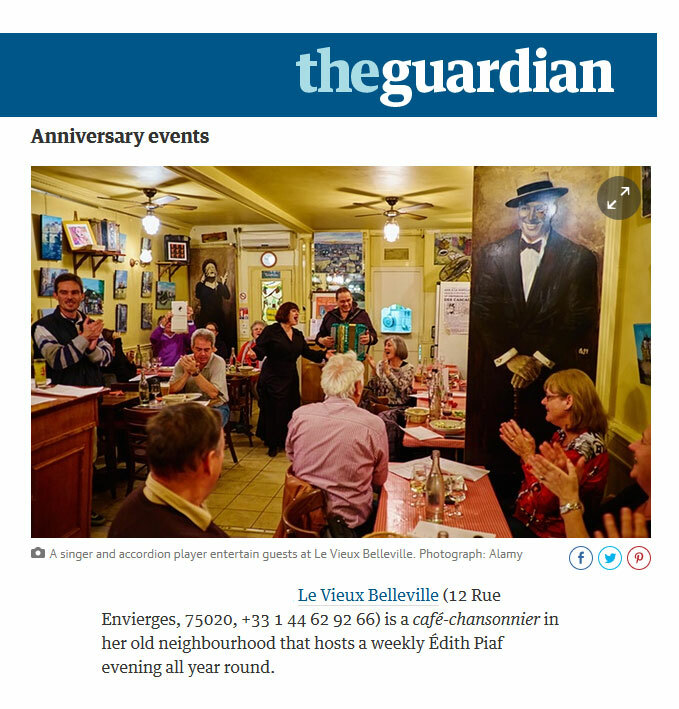 The Guardian rounds up in its pages all the events that are organised in Paris around the birthday of Edith Piaf. The actress Marie Gillain is a regular customer of Le Vieux Belleville, but she did manage to surprise us when she visited… with a TV crew! (Sequence begins 15 minutes in). 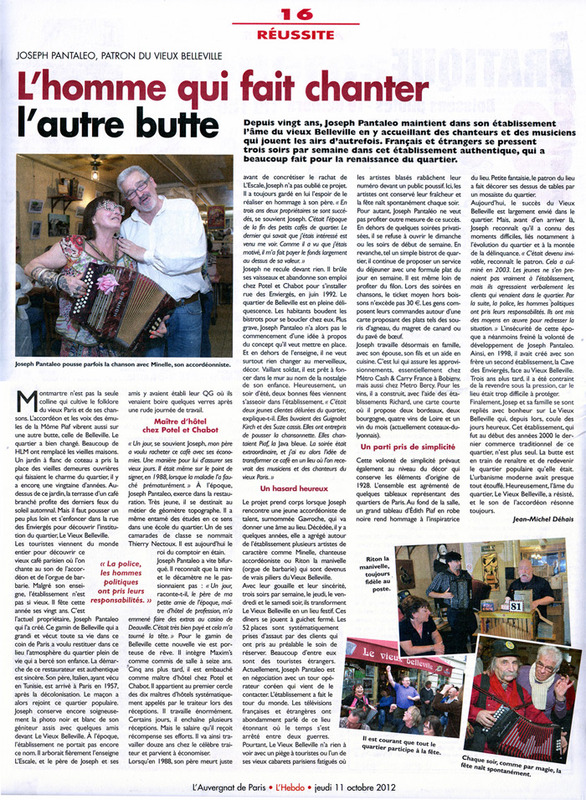 Le Vieux Belleville and owner Joseph Pantaleo are in the spotlight in the weekly published journal “L’Auvergnat de Paris”. 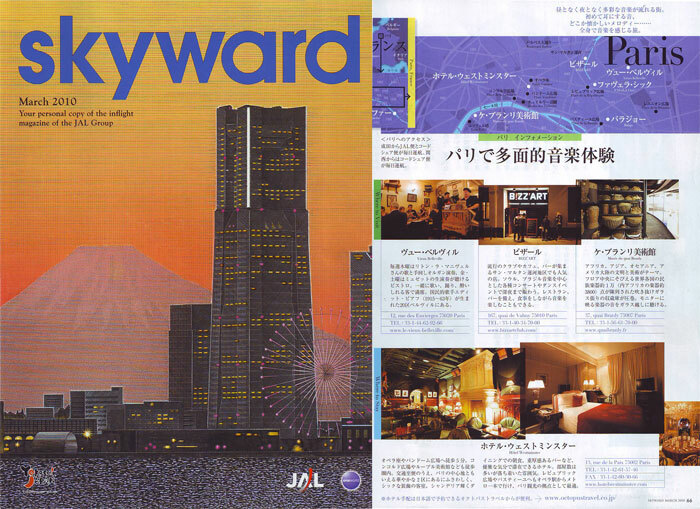 Le Vieux Belleville was featured in the march 2010 issue of the free magazine that Japan Air Lines distributes to its customers. That’s about 5 million potential readers! 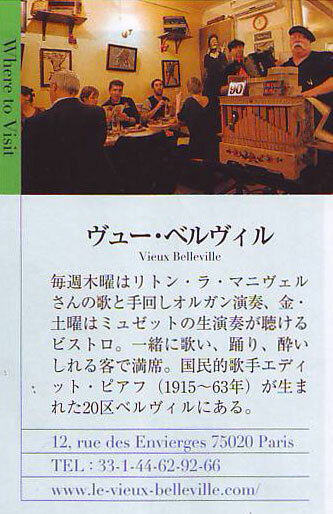 Le Vieux Belleville, featured in a french TV program.